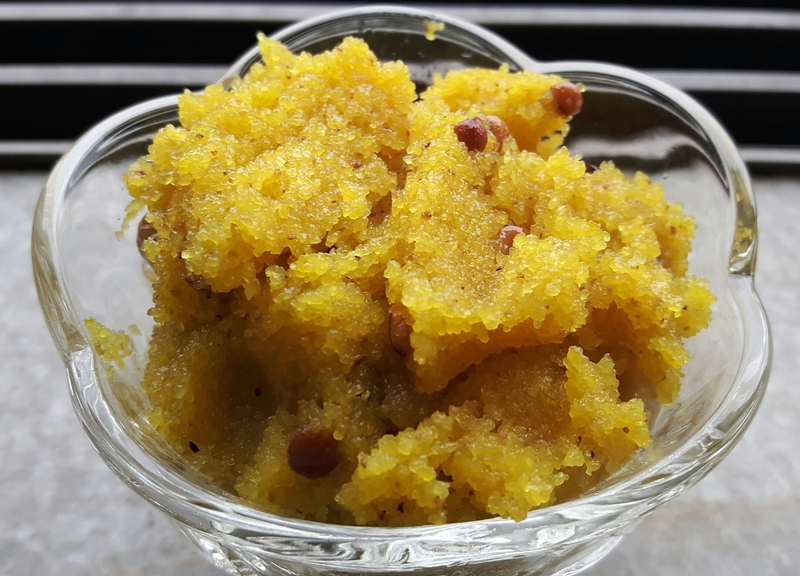 This is a different version of our mouthwatering Sheera.Today on 2 nd day of navratri,tried my hand at this recipe to make Prasad.I have used pineapple essence to flavor this dish some recipes have pineapple puree or chunk in it. Here goes the recipe for simple yet delicious pineapple sheera. Some broken Cashew Nuts and Charoli. 2 drops Lemon Yellow Colour. Heat Ghee in a kadhai.Add rava and roast till it changes colour( turns into light brown) ,stiring continuously. Rava can be roasted in advance and stored in refrigerator. Add cashewnuts, charoli & salt. Pour boiling hot water on rava. 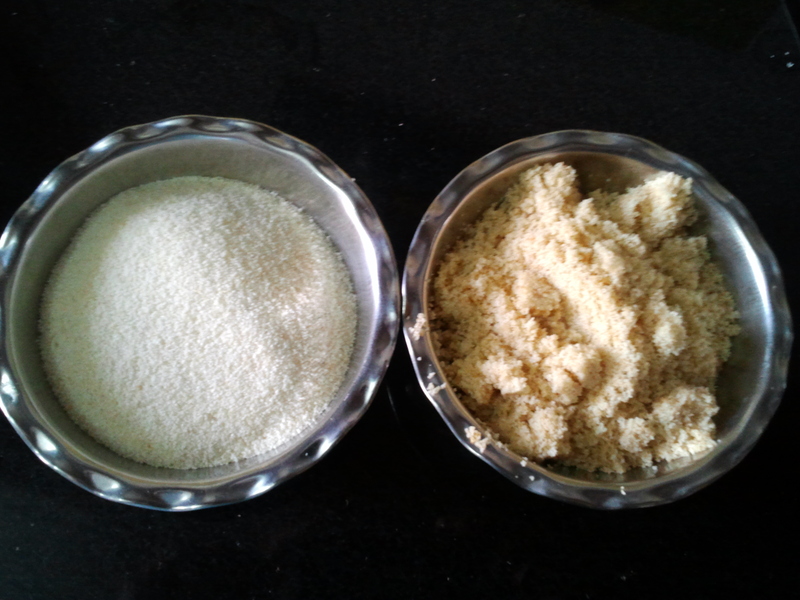 Stir.After the water is completely absorbed in rava add sugar. Stir well.Add pineapple essence and lemon yellow colour.Mix well.Cover and cook till sugar melts completely. Switch off the gas.Serve hot.